The countries of Australia and New Zealand might be situated far away from much of the world, but their proximity to each other makes them a pair of close neighbors. Though the two countries enjoy a strong relationship and are only a 3.5-hour plane ride away from each other, they have a share of differences between them. Both Australia and New Zealand have a unique, thriving culture which evolved from a fascinating and significant history, and a distinct, humbling landscape that draws in tourists from across the globe. Spanning less than 7.7 million square kilometers, Australia is the smallest continent in the world, despite being referred to by​ some as the “big island”. Australia is located south of the equator and is bordered by the Indian Ocean and the Pacific Ocean. 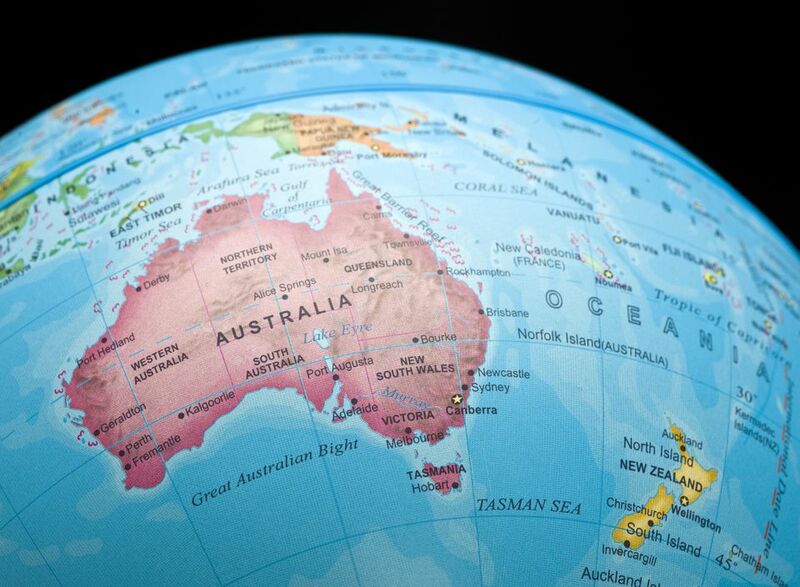 Thanks to this southern location in relation to Europe, the Middle East, North America and most of Asia, Australia is almost universally known as “the land Down Under”. The country is made up of states and territories. The states on the Australian mainland include New South Wales, Queensland, South Australia, Victoria and Western Australia, while Tasmania is the only state which resides away from the rest of the country, across what’s known as the Bass Strait. The territories within the country include the Northern Territory and the Australian Capital Territory, which is home to the Australian capital city of Canberra. Other well-known cities in Australia include Sydney which is located in New South Wales, Melbourne which is located in Victoria, and Brisbane which is located in Queensland. As of 2016, the population in Australia is estimated to be approximately 24.2 million people. Being a very multicultural country, Australia has received chain migrants from all corners of the world since its colonization, such as the Italian, Greek and other western European chain migrants in the 1950s. Other large influxes of immigrants have arrived from southeast Asia, the Middle East, and Africa, all resulting in a diverse, colorful Australian cultural climate. Despite many languages being spoken in homes throughout Australia, including Indigenous Australian dialects, the principal language of the country is English. Australia’s government is a constitutional monarchy, and its sovereign queen is the head of the English royal family, which is currently Elizabeth II. New Zealand has a smaller total area of 268,000 square kilometers. It is situated to the southeast of Australia, and there is much commercial travel between the two, including by ship. On most cruise ships, there is about three days’ sailing time from Australia to New Zealand. Two major islands make up the majority of New Zealand. They are the North Island, which takes up roughly 115,000 square kilometers, and the South Island, which is larger and spans 151,000 square kilometers. Additionally, New Zealand is home to a scattering of small islands. The population in New Zealand is projected to be 4.5 million as of 2016. The indigenous culture of New Zealand, Maori culture, is prevalent in modern New Zealand society, in addition to the eclectic variety of ethnicities which now call the country home. A maritime climate is present in New Zealand, which features cool summers and winters. The landscape is marked with majestic volcanoes, mountains and rich greenery which people come from war and wide to admire. Who Won Medals for Australia in the Sydney Olympic Games?